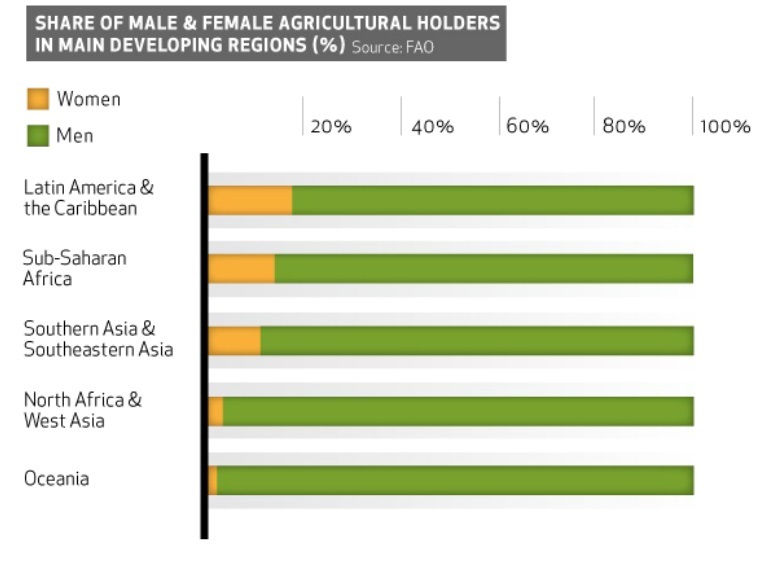 Women on average make up 43% of the agricultural labour force in developing countries and account for an estimated two-thirds of the world's 600 million poor livestock keepers (FAOSTAT). 8th March is International Women’s day and this year’s theme is “Women in the Changing World of Work: Planet 50-50 by 2030”. In 2017 we are far from living on ‘planet 50-50’ with women holding less than 20% of the land in all the main developing regions of the world. Imagine the scenario, a woman farmer in rural Africa facing drought or changes in rainfall patterns, a disrupted agricultural cycle and the knock-on effects. What would happen if this farmer just continued with their usual agricultural practices because they had no official rights to work on that land into the foreseeable future? As climate change becomes a harsh reality in many parts of the world, farmers need to adapt their farming techniques in order to survive. 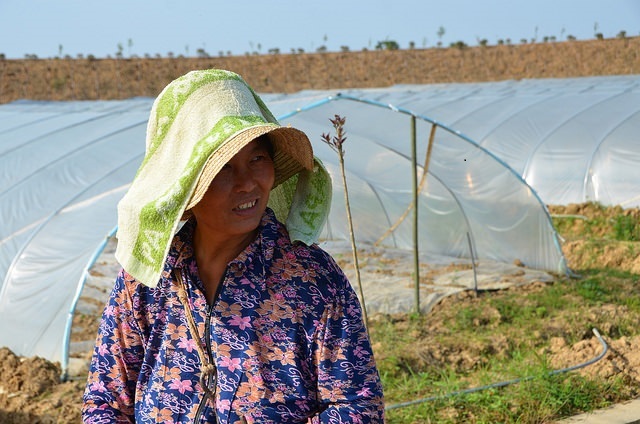 Women farmers are facing obstacles in adapting to climate change. Their rights and access to land, credit, inputs (such as improved seed and fertilizers), agricultural training and other information do not always reflect their vital role as farmers, and often providers of nutrition in the family. “When farmers were engaged in the climate-smart agriculture pilot project in Tanzania, land tenure was a major issue, particularly for women, even if the land was rented, it was usually rented to men” says FAO's Natural Resources Officer, Janie Rioux, “in addition to this, adoption barriers to certain climate-smart agriculture practices can be higher for women, this is the case with agroforestry, as planting trees can mean marking land boundaries”. Addressing the gap between male and female landholders through legal and policy frameworks at national level and influencing norms and customs at local level could provide major benefits. Such benefits would mean increased and sustainable yields – in other words a better food supply for communities and future generations. Malia Talakai, the gender focal point of FAO’s climate change division reiterated this point stating that "policy makers must ensure the promotion of equal opportunities for women: equal access to land and information, and control of resources and services. This includes policies, laws and mechanisms that promote the empowerment of women through their equal participation in decision making at all levels". The FAO Gender and agriculture sourcebook promotes the use of climate-smart agricultural (CSA) practices. It emphasises that men and women should have equal access to training programmes. It also suggests that when introducing CSA, it is important to be fully aware of the customs and traditions of a community and the differences in men and women’s access to land, livestock, credit and income. Women are not only vulnerable to climate change but they are also effective actors or agents of change. Land tenure security can increase a women farmers’ decision-making power and her choice to implement farming techniques that are more resilient to climate change. Step by step countries can work towards making this a reality – revising national laws and policies, committing the resources and capacity for their implementation, and gradually changing attitudes within families and the community. Module 18 of the Gender in Agriculture sourcebook. Go to FAO’s Gender and Land Rights Database (GLRD) for facts and figures related to women and land rights in specific countries. A technical guide to support the achievement of responsible gender-equitable governance land tenure: Governing land for women and men. See www.fao.org/climate-change for more information on FAO’s climate change programmes and projects.